We have been using supagard for many years, as have many of the main dealerships across the UK. Supagard has been classed a recommended branded accessory by Nissan, Renault, Peugeot, Ford, Mitsubishi, Citroen and Jaguar. It really is the market leader.T "Fantastic results, Excellent service, I'm very pleased with my car"
Supagard comes complete with additives which you can use when you wash your car, and of course they come with our full recommendation. 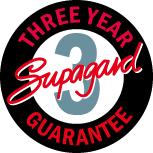 But the beauty of Supagard is that your three year guarantee does not depend on monthly application and annual inspections. 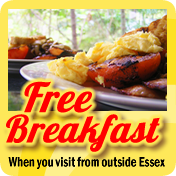 This really is a no nonsense product which is virtually maintenance free. Just use Supagard's Shampoo (or any other quality shampoo) to clean your car when it gets dirty. So you don't need to worry about waxing or polishing. Although supagard is guaranteed for three years, our customers have found that if the car is well taken care of and the additives used, Supagard will last 5 years or more. Supagard is a complete protection program for your car and includes their highly effective FabricGard and CarpetGard, meaning that your car is protected inside and out. 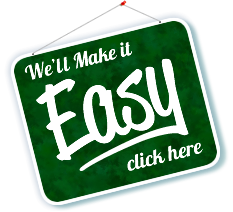 It comes as a complete protection package which as an approved agent, we apply it for you. To see how the Supagard paint sealant works, click here to visit their site. Supagard is the paint sealant we recommend for people with new and nearly new cars. £50 discount on the Supagard full package! Too far away to come to New Again? Fairly often we see a car that has been treated with Supagard, and which is long past the three year guarantee. We photographed and/or videoed some of these cars so that you can see what we do. Please take a look at this video and some of the articles below - you will be impressed! A comprehensive list of frequently asked questions - just about everything you could ever ask about paint sealants. Is is worth the cost? You be the judge! How does a 3 year sealant looks after 7 years. Pretty good in our opinion! A near mint condition Toyota Rav4. What makes Supagard 'worth it?' We think it has something to do with the way it can keep older cars looking like new cars. Some of the things that make us different from the rest. We ensure you get the best from your protection package. "When I got this car, my other half had it done with Supagard - I had never heard of the stuff to be honest, and I haven't really thought about it since. All I know is that this car has always looked shiny and clean and been really easy. I will definitely have New Again put Supagard on my next car when I get it." Black cars are a nightmare to keep clean, for it to have the basic valet it would have at least one coat of polish this year. This video demonstrates how Supagard Fabric Protector will protect a card made from thick blotting paper. We dip it in coffee and stomp on it in a puddle. The Diamondbrite Paint Sealant protection package for the interior and exterior of your car. featuring Penny Mallory and Jason Dawe. The Supaguard Paint Sealant protection package for the interior and exterior of your car. Featuring Tiff Needell of Top Gear and 5th Gear fame. Before you seal your paintwork with a sealant, is it looking it's best? A paint sealant can only seal in what is already there so it's best . We have a range of services that can remove environmental contamination, swirl marks and light scratches. 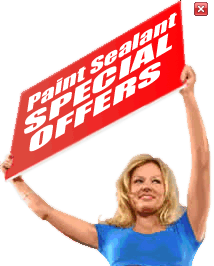 A cheaper alternative to the paint sealant packages is to have a one year sealant. Slightly more high maintenance than supagard but with a lifetime guarantee on paintwork and upholstery.